Joan Didion's has an x-ray gaze and her writing is the ultimate in perception, lucidity and style—start anywhere, be changed forever! 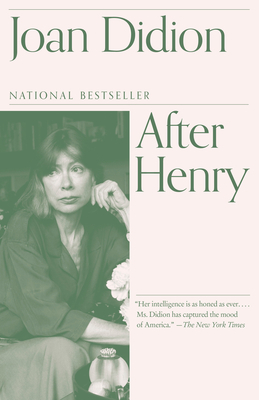 "Joan Didion has great instincts for metaphor. She can take an ordinary object . . . and make it as ominous as Hitchcock. . . . She's writing truths about American culture in the sand at our feet. . . . With Didion leading, you could well follow one of her paragraphs into hell." "[Didion's] reportorial pieces afford the pleasures of literature. . . . She is an expert geographer of the landscape of American public culture."